This is The Little Mermaid Story for kids. Long ago there lived a Sea King in the coral palace at the bottom of the sea. He had six mermaid daughters. While five of them were happy, his youngest princess didn’t smile even once. Image Source@ pinterest. One night, the Little Mermaid left her home and came to the surface, secretly. In the stormy night, the waves crashed wildly against the rocks.The lightning threw the light on a ship rolling and pitching at sea. Besides the ship, a young man was signaling for help. Little Mermaid immediately rescued him. She brought him to the shore and rested him gently against the rock. She fell in love with this young man. On seeing a beautiful young girl approaching, she left for the sea palace. The king announced the princess as the future bride of the kingdom. That announcement left the Mermaid in tears. She ran out of the palace back to the sea. 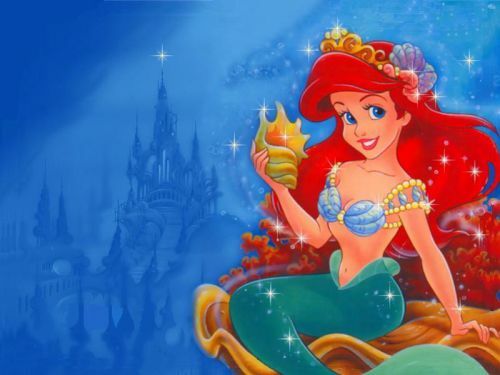 It is believed that the sad Little Mermaid still visits the place where she first saw the handsome prince. Also, read Ariel’s Dolphin Adventure.